Beyond the Combatives Belt, Gracie Jiu-Jitsu consists of hundreds of advanced techniques organized into a clearly defined, systematic curriculum called the Master Cycle. The Master Cycle’s unique structure simplifies the journey to black belt by organizing all of Gracie Jiu-Jitsu into seven positional chapters (Mount, Side Mount, Guard, Half Guard, Back Mount, Leg Locks, Standing), each of which is studied for several months before moving on to the next chapter. If you've achieved the Combatives Belt, and you would like to continue on the path to black belt in a safe, structured, and friendly learning environment, the Master Cycle is for you! Scroll down to learn more about this groundbreaking advanced Gracie Jiu-Jitsu program. Every Master Cycle lesson begins with a 15-20 minute review/warm-up period during which you will review previous lessons or explore techniques you may have learned online through Gracie University. During the review period, we encourage you to collaborate with your training partners and ask questions of the instructors. After the review, the instructor will present 2-3 new techniques from the current chapter of study. Then, you will practice the techniques with a cooperative partner until the movements become natural. At the end of class, you will have a chance to test your skills against a variety of training partners in a variety of controlled training exercises, such as: Rapid Mastery Drills, Focus Sparring Exercises, and Fight Simulation Drills. Safety is the primary concern during these sparring exercises, and any students who do not train in a safe and productive manner will not be allowed to participate. Sparring is 100% voluntary for Master Cycle students. There is a remarkable difference in the rate of progress between students who study in their off time and those who don’t. As an active member of the Master Cycle program at Gracie Jiu-Jitsu Victor, you qualify for a free subscription to GracieUniversity.com, which gives you unlimited online access to the Master Cycle video-based curriculum. 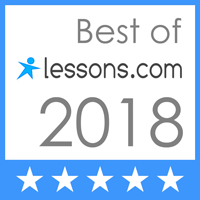 Use this resource to review past lessons, learn new techniques, and prepare for future belt tests 24 hours a day, 7 days a week, from any computer or mobile device! Take advantage of this powerful tool and take your technique to the next level! As an active student in the Master Cycle you qualify to train at any Certified Gracie Jiu-Jitsu Training Center around the world. If you travel to a city with a Certified Training Center, simply let them know that you’re a family member, and you can participate in any class for free! GET STARTED WITH OUR 10-DAY FREE TRIAL! If you’re interested in joining the Master Cycle program, we invite you to take advantage of our 10-day free trial. To take advantage of our 10-day free trial, simply click the "FREE 10-DAY TRIAL" button and we will help you get started right away! Click on the links below to view sample lesson clips from Lesson 1 of the Gracie Combatives program (available as a student thru Gracieuniversity.com). It demonstrates how we teach Gracie Jiu-Jitsu. To take advantage of our FREE 10-day trial or to schedule an introductory private class with a certified instructor simply click the button above.